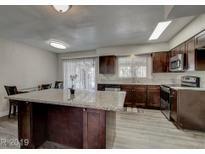 Below you can view all the homes for sale in the Richfield Village subdivision located in Las Vegas Nevada. Listings in Richfield Village are updated daily from data we receive from the Las Vegas multiple listing service. To learn more about any of these homes or to receive custom notifications when a new property is listed for sale in Richfield Village, give us a call at 702-323-5933. Classic charm meets modern tastes w/wood-look flooring in all high traffic areas * Upgraded, chef's kitchen featuring granite counters, Stainless Steel appliances, & loads of storage * FOUR Bedrooms & generously-sized family room * Bathrooms have all been updated w/granite counters & modern tile bath & shower finishes * Pool-sized yard, covered patio, laundry area, & lots of storage space! MLS#2075526. Redfin. Priced Below Comps -Feels Like A New Home! 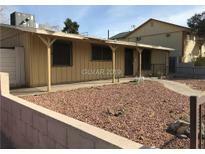 MLS#2070803. Prominent Realty Group LLC. Tenant on month to month lease. House being sold as is. MLS#2066612. Signature Real Estate Group. 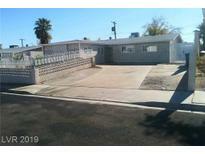 Nice one story home located just off Sahara in a very convenient location. MLS#2066586. Signature Real Estate Group. Major cross road, Sahara & valley view. refrigerator, washer, dryer, stove included MLS#2039815. Vegas 99 Realty.